This chapter provides an insight into why the gas turbine engine has been dominant in certain applications, while having only minimal success in others. Though it has undoubtedly had the greatest impact on aircraft propulsion, background information onallpotential major applications is provided, including a description of an electrical grid system and how to evaluate marine vessel and automotive vehicle shaft power requirements. An understanding of the application is essential to appreciate fully the wider implications of gas turbine performance. The attributes of the gas turbine are compared with other competing powerplants in relation to the requirements of each application. This discussion includes the reasons for selecting particular gas turbine configurations and cycles. High reliability and availability are prerequisites. Examples of engines and applications currently in service are provided. Engine configurations discussed herein, such as simple or combined cycle, are described fully immediately before this chapter. Performance terms used are defined in section 6.2. 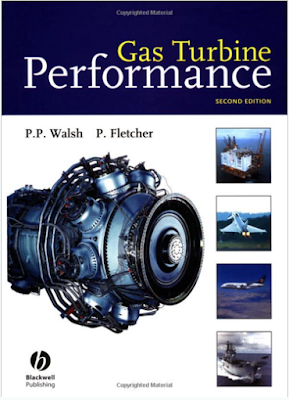 Aspects of gas turbine performance which impact the choice of engine for a given application are comprehensively presented in later chapters. These include detailed cycle design, transient performance, starting performance, etc.